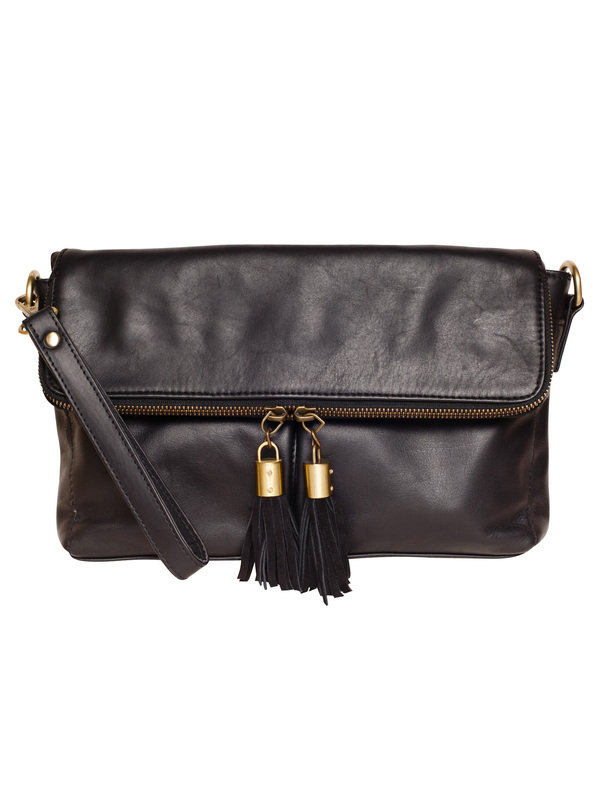 The Foundry Design have re-thought the satchel, creating this soft, multi-functional leather bag. 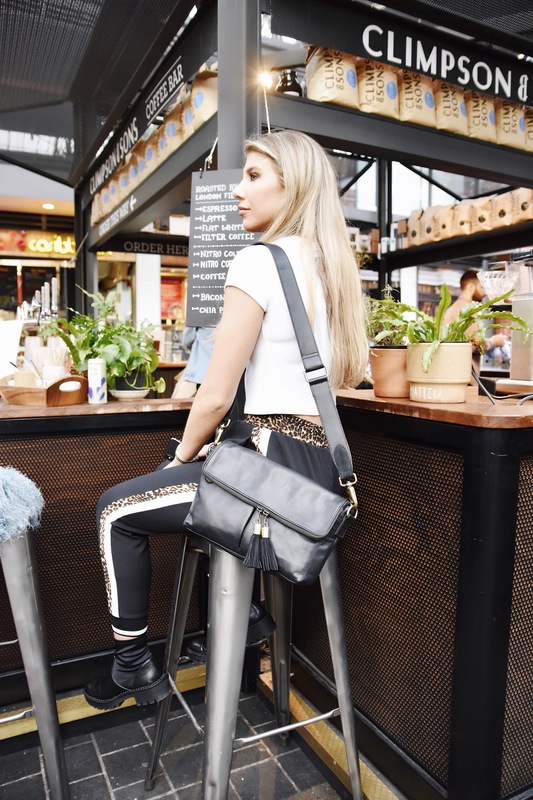 Our Soft Zipped Satchel bag is designed with an adjustable ‘guitar’ strap, allowing the bag to be worn cross-body or on the shoulder. 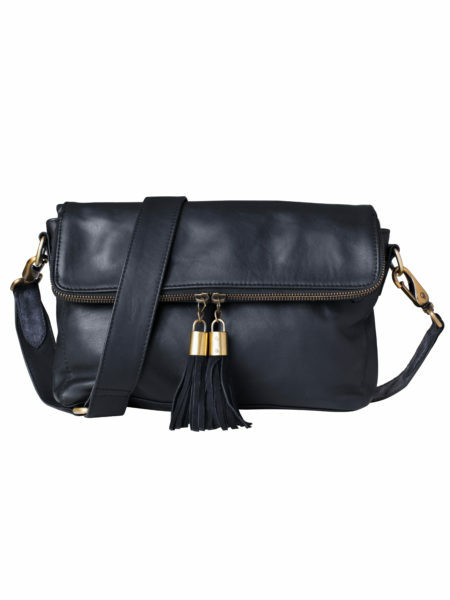 The strap is a feature in itself, with suede trimmed ends and chunky gold-tone hardware. 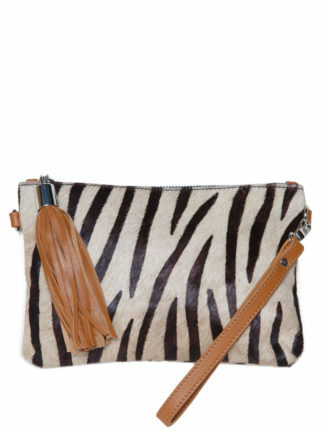 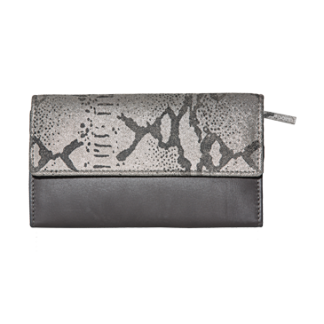 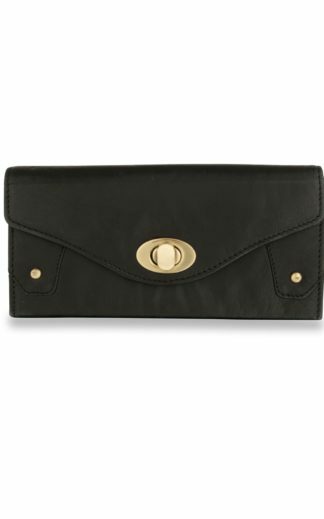 There is also a wristlet strap, allowing the bag to worn as an over-sized clutch. 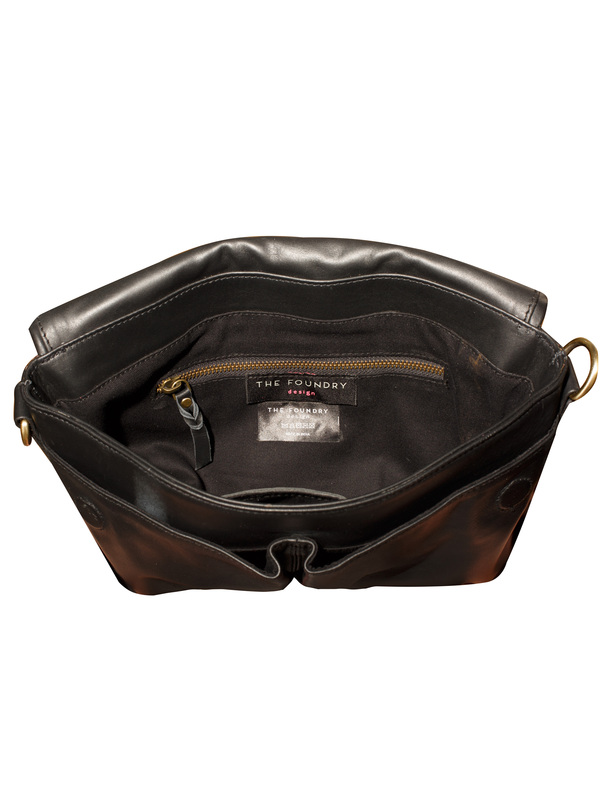 The zipped fold-over flap opens up to reveal a large, spacious compartment. 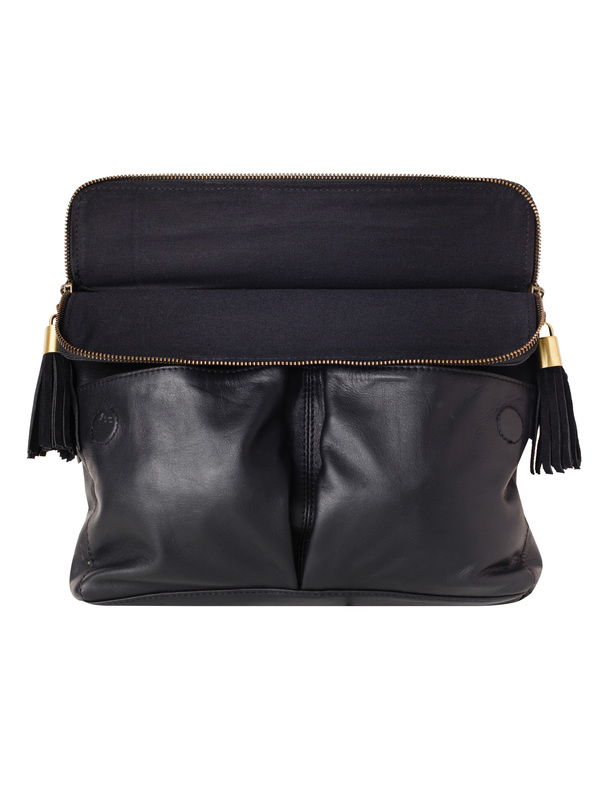 For easy access to your stuff, there is two front pouch pockets – as well as room inside with more secret stow-away spaces. 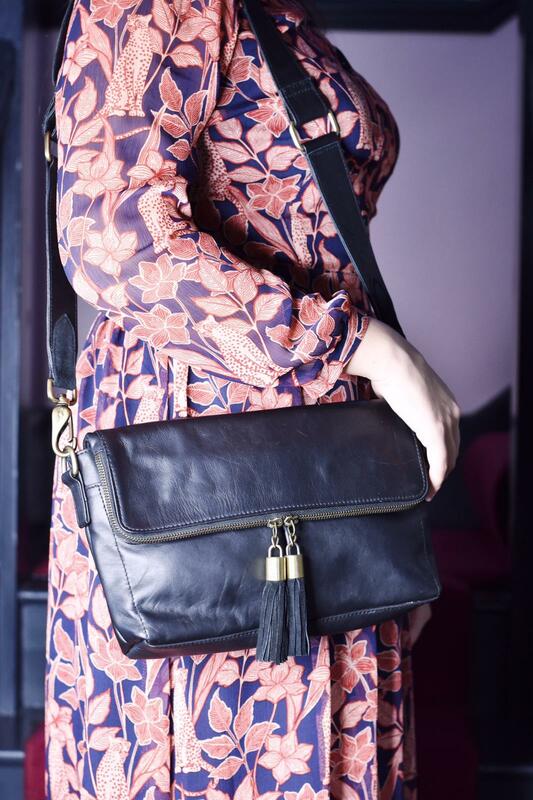 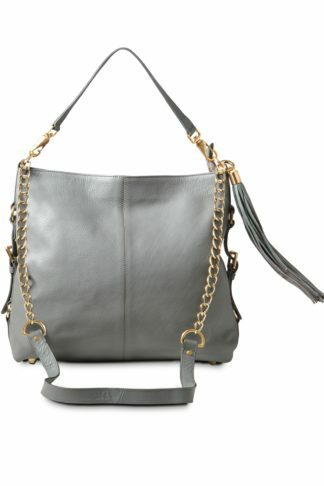 Opt for this feminine, stylish bag for versatile wear.